He walked beside her every step of the way. 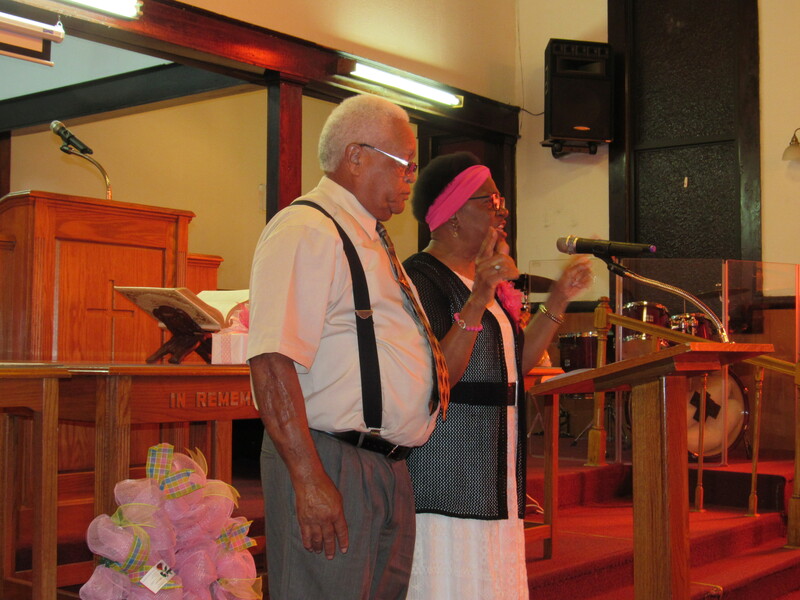 There was hardly a dry eye at Winona Baptist Church when Carolyn Moore was sharing her testimony about her breast cancer journey for the Paint Winona Pink event. But when she spoke of her family’s unwaivering love and support and she started to become emotional, her husband walked up and put his arm around her shoulder to comfort her, everyone in the building was emotional. Shelton Moore didn’t say a word. He didn’t have to. 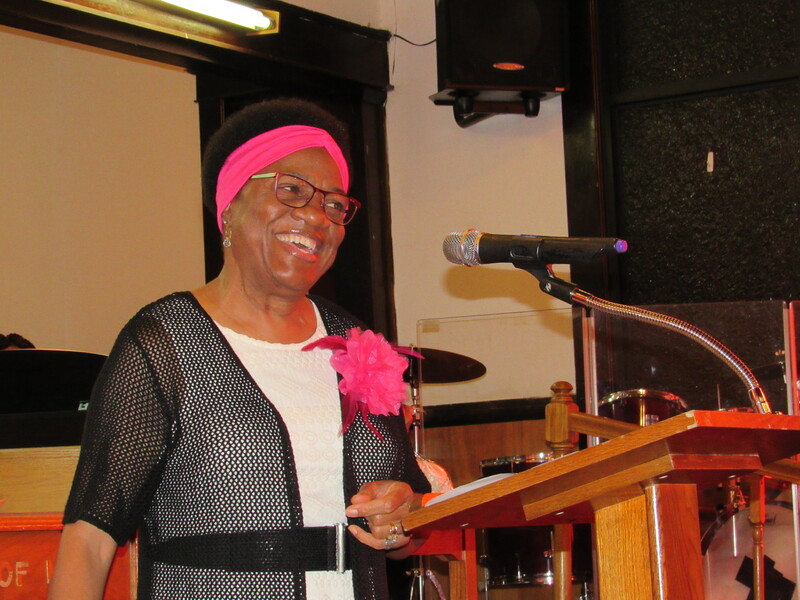 Cheryl Small said Moore was a positive Godly woman whom she had always admired. Moore said God was preparing her for her cancer journey more than 10 years ago, of course she didn’t realize it at the time. In 2013, Moore was referred to the Breast Cancer Center in Starkville by her family physician, Dr. Katrina Poe. On Dec. 3, 2013 following several tests, it was official. She was diagnosed with Ductal Carcinoma, a form of breast cancer. She had a mastectomy on Dec. 27, 2013 and her attending physician and surgeon was Dr. Daniel H. Smith. On Feb. 28, 2014, Moore had her first of round of chemotherapy at St. Dominic Cancer Center. Her oncologist is Dr. Quangzhi Qu. This treatment involved three different medicines, but Moore said she was never sick following a round of chemotherapy, and for that she was thankful. Exactly two weeks after the first round, on March 14, she began losing her hair. On Saturday, March 15, she shaved it all off. In April 2014, Moore developed an infection on her left thigh which may have been caused by an insect bite. She was hospitalized at St. Dominic for six days following a simple surgery to cleanse the area. Chemotherapy had to be postponed for at least a month. But that didn’t stop Moore. There were many trips to Jackson with stays of at least three hours. Actually, she said she enjoyed going to Jackson for treatments because had a chance to “handle some business” at Mama Hamils, Golden Corral, Picadilly’s, the Mall, even Krispy Kreme! Moore completed her final round of chemotherapy in August 2014. In October of 2014, Moore was blessed with enough hair to go without a hat. It was a memorable day. Moore said she was diagnosed with cancer, despite having regular annual mammograms that have all had good results. In February, Moore will be cancer-free for three years, a big milestone for cancer survivors. She continues with follow-up appointments and tries to encourage others at whatever stage they may be in their own cancer journey. And Shelton is by her side every step of the way. This story was in the October 13, 2016 edition of The Winona Times.